La Virgin de la Macarena is a traditional bullfighting song made famous by the great trumpet virtuoso Raphael Mendez. This version features a solo trumpet accompanied by brass quintet and optional percussion. All the flashy pyrotechnics in the original solo part are present with the supporting sound being a quintet rather than band or orchestra. 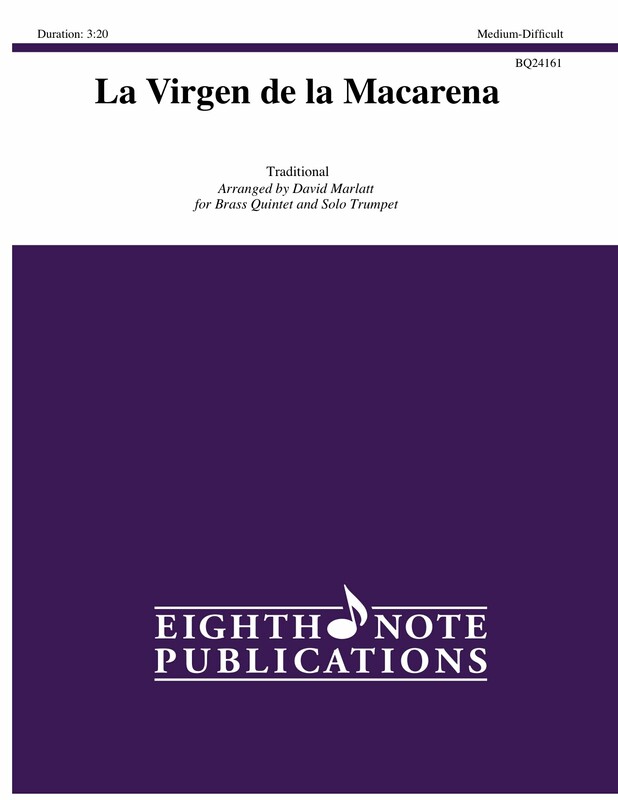 In setting the tone for this arrangement a short introduction is included which quotes Bizets Carmen and features a short cadenza and some requisite high notes. A guaranteed audience favourite!